I love the concept of having a mood board for your space and playing around with it until you are content with the way the room is taking shape before you move on to the next phase . 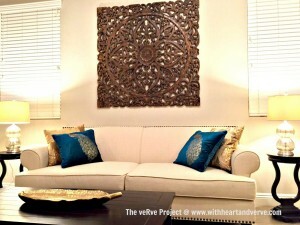 The idea is you can sift through collections of furniture,accessories,decor and color schemes for loads of inspiration and adapt them to your taste .I will continue to add new mood boards built from my own slew of ideas as well as custom mood boards based on any requests as and when I get them. 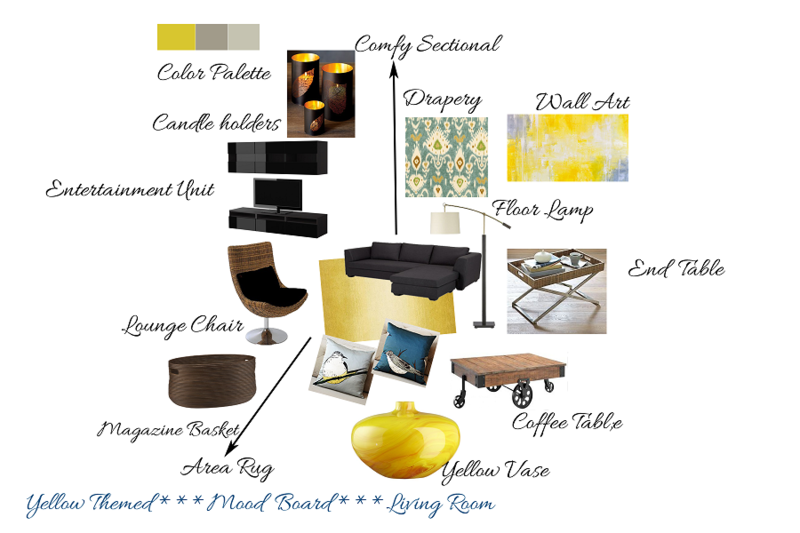 So without further ado…..here’s my first mood board for a dear friend of mine who had requested me to throw some pointers to redesign their living room and yellow was the color inspiration..I had a grand good time whipping up this yellow centered custom mood board based on the wishlist I was given. 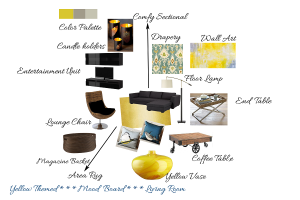 Since I was given a free reign to build a room based on some existing parameters from the wishlist , I tossed this moodboard filled with fun and punchy hues of yellow. 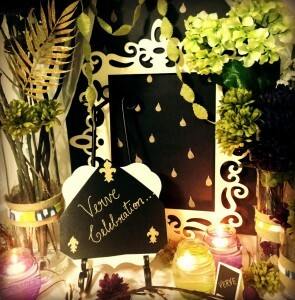 (Please click on the image for a detailed view). As for the wall colors,I love this color scheme from Benjamin Moore, the chic and punchy yellow and a range of grey tones along with hints of hammered gold. You could amp up the style by adding another hue of turquoise or sea greens like the IKAT fabric ,accent cushions etc.to the mix .The walls could go for a soft grey and use charcoal for an accent wall that will serve as a cool backdrop for a large abstract art. 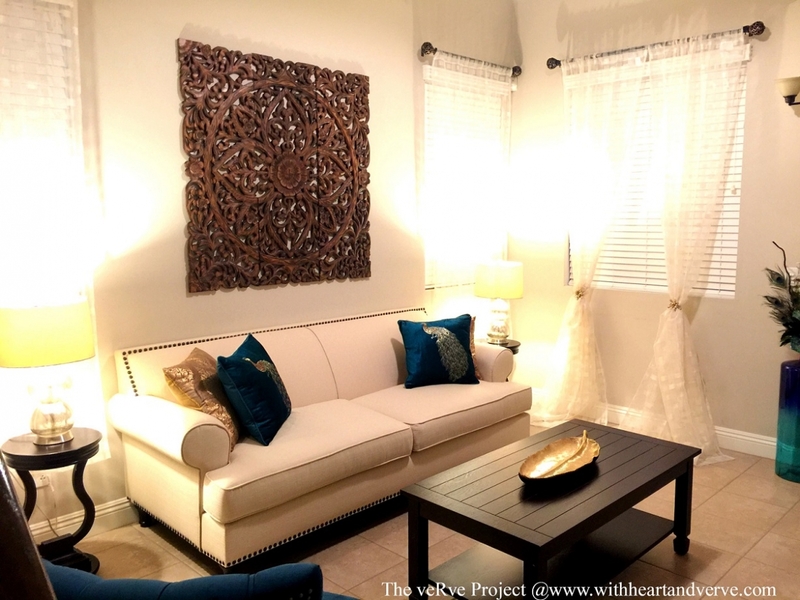 This entry was posted in Home decor projects, Inspiration Corner and tagged Benjamin Moore, Crate and Barrel, Custom design, Living Room, Mood Board, Pottery Barn, West Elm, Yellow, Yellow+Gray.